Here are the tips and tricks to engage user engagement to the core. And this is exactly what IGTV does, it takes your video content to the next level by providing you with a strong and stable platform to reach out to hundreds and thousands of people. Now obviously, this part of reaching thousands of people is not achieved by every single person. But worry not, we are here to rectify this situation and help you out in increasing your user engagement by millions with this short yet informative guide on Instagram's IGTV. So, keep on reading to know everything you need to be aware of IGTV. What is IGTV on Instagram? 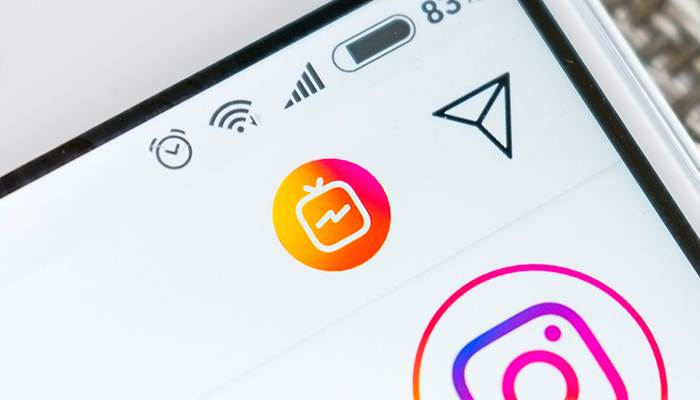 IGTV is Instagram's latest standalone app with the format of 'long-form and vertical video recording', IGTV can also be accessed through the original parent application of Instagram by the IGTV icon at the top-right of your Instagram feed. 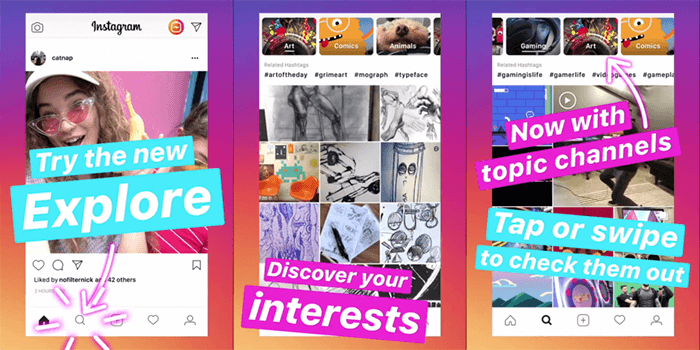 With the introduction of this new video platform, Instagram now allows its users the facility to create their own IGTV channel where they can share their long-form vertical videos with the people that follow them. Typically, these videos can range from being 15 seconds to 10 minutes long for the majority of accounts, but for larger accounts, this time duration can be up to an hour. The whole idea of IGTV came into the picture because Instagram wanted to change the way people watched videos. And further curated this feature to adequately fit the way today's audience uses their smartphones and other mobile devices i.e. all the video content will appear vertical. Once the standalone app of IGTV is installed from the respective play store you can access it via the icon. As you open the mobile application, the videos will start to play then you can move around by swiping screens or by scrolling through the videos. Some of the options that the user gets to help them find new video content are 'For You', 'Popular', and 'Following'. 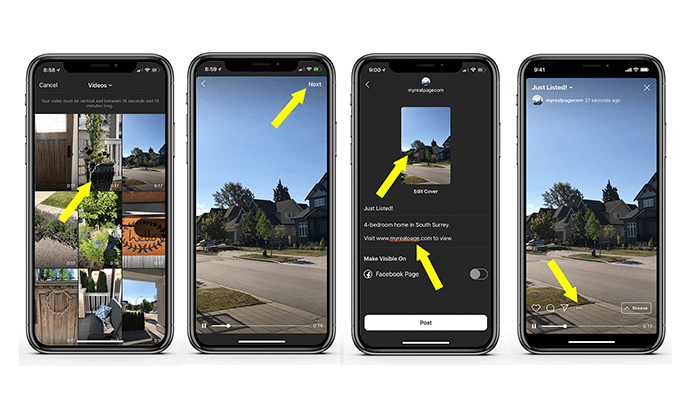 Along with all of this, there is also a search tab at the top of the app where Instagram's algorithm will help you in performing the search for you. Also, you can directly upload videos from your smartphone instead of requiring any extra setup. Step 2: After that, you will be promoted to the screen displaying instructions that are required in order to create your own app. Step 3: Once the instructions are followed, the next step is to create your own video content. Step 4: For posting purposes, your video must be at least 15 seconds long and in a vertical format. This is the part where you can go wild with your imagination for utilizing the best of your IGTV channel. Step 5: To edit your video, the iPhone users can use Apple iMovie and for the Android smartphone users, Video Show is a great alternative. When video editing is complete and you are ready to post your content, just click on the plus sign on IGTV to choose a video. Step 6: The final step is to write an appealing title and description for your video that is highly relatable to your video's content and then post it on your own IGTV channel. Bonus Point: Don't forget to make full use of Instagram's in-app analytics for your videos as they will inform you about your video's engagement with the users with respect to the views, likes, and comments you receive on your video. In addition to that, your audience retention graph will also be displayed in the form of a graph, showcasing the total percentage of video plays that are active during a particular period of time. These analytic statistics will help you in improving your content quality by pointing out the exact moment when your viewers tend to decrease. With the elimination of these pain points, you can properly optimize your future videos to nurture the best output possible. One of the main advantages of this emerging video platform is that users' Instagram and IGTV accounts are linked together to one another. In order words, if you create a profile or a video channel on IGTV then your Instagram followers will be automatically notified. They will also have access to the content posted by you on your channel and will be able to watch your videos directly. As every new feature or application that comes in the market offers a new set of opportunities, the only thing required is the flow of the process starting with the idea. As discussed above, the concept of IGTV is different from the traditional approach that is being followed by other video platforms so you would have to create your content keeping this in mind. For instance, a large number of people think that they can simply upload their YouTube videos on their IGTV channels by adding bars at the top and bottom of the video. But such videos will end up looking terrible because IGTV only deals with vertical content. Even with the case of horizontal flipping videos, users will just swipe at the next video if they don't receive a seamless viewing experience. So, if you want the users to stay onto your videos then create content that follows the IGTV format and guidelines. There are a ton of ideas for vertical opportunities such as motivation videos where the person can directly talk to their phone camera. IGTV is introduced in the market as a tough contender for YouTube, so it is important to take this video platform seriously just like other platforms of this genre. That means the quality of the video should be high instead of below the average content. It is the responsibility of the content creators to make sure that their video content consists of unique features. As IGTV is relatively a newer platform, the content creators hold a better chance of producing content that is unique; this will also set the tone for your user base. Here's a tip, make sure your phone camera is a good one because most of your IGTV videos will be shot from your phone's camera. Video editing mobile applications like Spark Camera and VideoShop are great choices to add some visually appealing effects to your videos, which will attract more users to your content. Don't think your work is completed, once the video is posted. The real work begins after the video is live because then you will be able to watch over the statistics on how your video is performing. 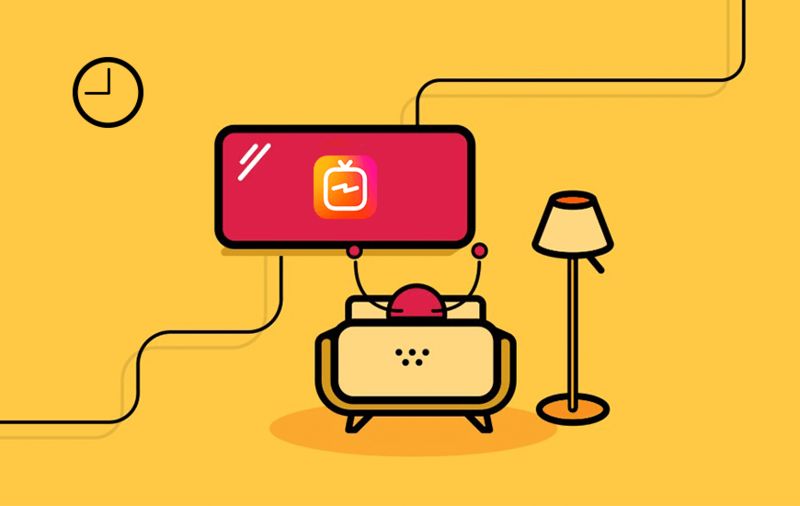 IGTV offers detailed analytic reports to its users with similar Instagram categories that inform the user about the number of views and likes received on a particular post. Along with that, there's a new option of 'Audience Retention' that displays how many seconds or minutes are spent by your followers on your videos in the graphical representation. Also, there's no hard and fast rule of shooting videos just from your smartphone, you can even use DSLR cameras in portrait mode to get better user retention. Another thing that users pay great attention to is the title and description of the content so make sure that the details regarding your videos are on point. Try to insert keywords that are directly related to your content because they can bring the target audience to your channel. Try to make sure the description is short and simple by briefly explaining your content instead of overstuffing your description box with words. Last but not least, add a relative link in the description of your video, and by this, you can transfer your audience to your other content as well. Since IGTV is still new in the market, focus on creating a stable balance between your IG and IGTV accounts. To achieve this balance, you can share short video teasers on your Instagram stories and see how your followers are engaging with your content. Use smart tactics to lure your audience towards your video channel on IGTV to watch the full videos whose teasers you have previously shared on your Instagram account. Try building this Instagram and IGTV relationship with the motives of long-term commitment. So, these were some of the most significant ways by which you can easily multiply Instagram user engagement. Next, we will be sharing with some hidden tips on Instagram engagements that are not known by a number of people. Collaboration: It has been seen that collaborations tend to perform very well on this social media platform, so go ahead and collaborate with other people and brands to indirectly promote your content on others' profiles. Timing: Make sure you publish your content at an optimal time so that your post can cover a larger percentage of active users, which will eventually lead to earning more user engagement. Hashtags: The hashtags can be your ultimate shortcut of increasing impressions on your Instagram posts. Be specific with your hashtags. For example, if you are posting something on a Tuesday so use hashtags that are trending on that particular day like #tuesday #tuesdaythoughts etc. CTA: CTAs also known as Call-To-Actions play a significant role in increasing your Instagram engagement when used appropriately in your post's description. With CTA, you can easily receive a particular response from your targeted audience. UGC: The term UGC stands for User Generated Content, which is a creative tactic that can be used to encourage your Instagram followers to interact with your profile by submitting their own posts to get featured in your account. Authenticity: Instead of sharing only the business-related or formal aspects of your Instagram account, share more posts that are less formal in nature. For example, if you have posted a video on your profile then also share the BTS (Behind the Scenes) clips of that video with your followers. The main aim of this concept is to change the user's behavior by steering them away from traditional media including desktop computers and TVs while separating themselves from competitors like YouTube. We hope that we have answered your questions regarding IGTV and how it can be used to increase user engagement on Instagram. If you still have any doubt regarding the same then just leave a ‘Comment’ in the section down below and we will get back to you ASAP. Also, don't forget to click on that 'Subscribe' button so you can stay up-to-date with the latest happenings of the Mobile App Industry.